Expanding your audience by engaging users with enhanced social media marketing strategy. The two different strategies of social media marketing used by companies include the passive and active approaches. In the passive approach, companies use social media to clarify information about a particular negative news. For example, if a product company is being accused of a big fault in their primary product, the company can use Facebook or Twitter to clarify that the fault is very rare and they are taking all the necessary steps to ensure that nothing goes wrong in the future. Sometimes companies use social media sites to communicate actively with the customer and probably end up doing business using a social media channel. Along with Facebook, LinkedIn is one of the sites that has gained a lot of popularity. Many of the companies communicate to prospective candidates over LinkedIn before going ahead with the interviewing process. Facebook account creation, facebook friend connect, facebook profile badge, facebook page follows. Google+ account creation, Google + friend connect, Google + profile badge, Google + page follows, Post engagements, get followers. Instagram account creation, Instagram friend connect, Instagram profile badge, Instagram Get follows, Instagram post engagements. Pinterest account creation, Pinterest friend connect, Pinterest profile badge, Pinterest page follows, Pin follows, Pins engagements. Linkedin Account Creation, Profile Creation, Skills endorsements, Linkedin Connects, Post Engagements, Follows, Post Likes. 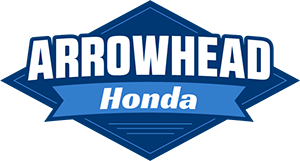 TM250 work with Arrowhead Honda and increase their engagements and traffic by 200% with an interactive social media marketing. 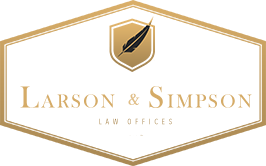 We worked with Larson & Simpson PLC to increase their followers over various Social Media channels. 400+ increase in followers in 3 months for Facebook, Twitter and Instagram. We've worked with Compassionate Certification Centers and with a strategic SMM, we have been successful to decrease their cost-per-engagement by 51%.